I recently had the pleasure of being part of the Islamic Courses team that hosted Professor Wael Hallaq for a day-long seminar on his book The Impossible State. The event was hosted at Birkbeck College, London on 16 January 2016. Professor Hallaq was graciously open and friendly to everyone, even when challenged on his ideas. As this is a brief review, concentrating on the seminar contents, interested people should primarily refer to The Impossible State and his recent paper entitled “Re-Orientating Orientalism” for fuller elaborations. In summation, Hallaq emphasised understanding modernity and its destructive traits, and urged joining between “knowledge (‘ilm) and action (‘amal)” in pursuit of a better world. He further argued, although a non-Muslim himself, that the traditional Shariah offers fundamental virtues for a “higher moral order”. He presented a dichotomy between an Islamic “paradigm” and modernity; for example, “the Shariah has its own concept of freedom and worldview that has nothing to do with the liberal view”. Naturally, he was questioned on such dichotomising, so he explained that there is nothing wrong with accepting “peripheral issues of another system”; and that “transplants and borrowings between cultures is crucial, but it must be on one’s own terms”, as Muslims had done with the Hellenic tradition. For him, the first 300 years of Islam witnessed the formulation of the Shariah by jurists who were part of the social order; hence the Shariah is a “grassroots movement from the lower ranks” of society, who often taught for free (“fi sabil Allah”). He argued that 98% of ulama did not benefit or become powerful in worldly terms, which undermined the “remapping” of Islamic history to make it look like European history, whereby corrupt clergy colluded with self-interested monarchs. Furthermore, he asserted that the madrasah system, controlled by the endowment institution, was largely independent of the ruler’s control, even when it was they who set-down the endowment. [cf. Anver Emon, “Shariʿa and the Modern State”, Chapter 2 in Islamic Law and International Human Rights Law.] He also agreed that the Shariah had essential traits, but it could evolve in its finer details over time (in agreement with Baber Johansen’s research on land tax and rent). Whilst referencing Muhammad Qasim Zaman’s The Ulama in Contemporary Islam (Chapter 4, in particular), I contended that many modern-day Islamic jurists of a traditional outlook, like Shaykh Muhammad Taqi Usmani, consider an “Islamic state” to be a possible state. Furthermore, such scholars support state codification of parts of the Shariah, despite acknowledging that codification in this manner is a recent attitude to Islamic governance. In fact, this is all indicative of the ulama’s historical ever-evolving political pragmatism (see Ovamir Anjum’s Politics, Law and Community in Islamic Thought, chapters 1-3). Hallaq responded that such scholars do not understand the “loaded nature” of these projects. Furthermore, he argued that “codification [of the Shariah] is not innocent”, and “it destroys Islamic law by making it stagnant” (cf. Zaman). 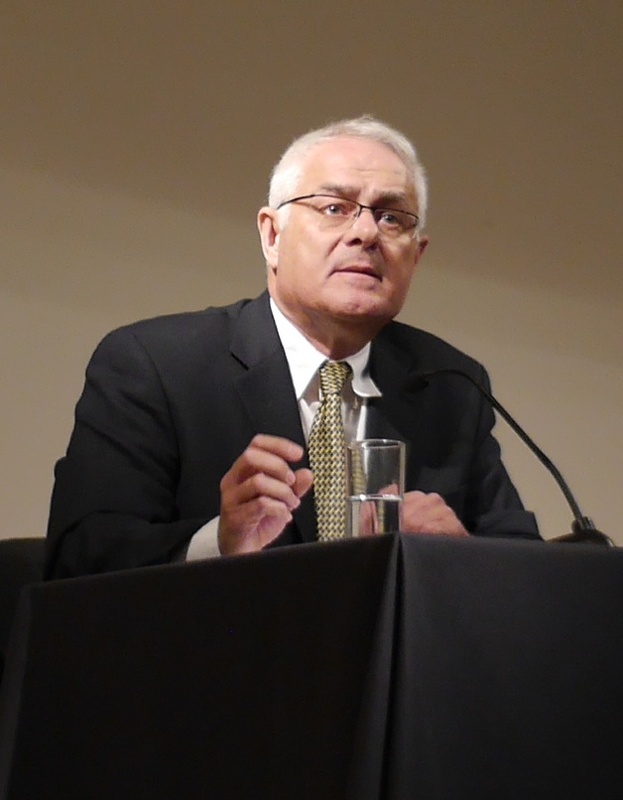 In conclusion, Hallaq’s manner of placing the Quran and the Shariah into the Western academic discourse and his continuing critique of negative trends within Orientalism towards Islam will surely find favour with many Muslims, who will also see him as an improvement upon Edward Said’s “secular humanism”. I hope Muslim and non-Muslim scholars of all types will continue their engagement with Hallaq on these fronts, and enhance their reading and presentation of the Islamic “tradition” and modernity in light of his provocations, whether they agree or disagree with him. Professor Hallaq was as charming as he was intellectually engaging, and we can only pray that such fraternal companionship and academic rigour will continue, with him and others, insha’ Allah. Andrew Booso is originally from London, where he read Law at the London School of Economics. 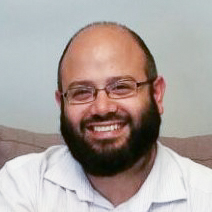 He contributed reflective articles to suhaibwebb.com (now virtualmosque.com) for a number of years, and has edited for numerous publishing houses, including The Islamic Foundation, White Thread Press, Turath Publishing, Heritage Press, Visions of Reality and the Islamic Texts Society. He is a member of the Advisory Board of the Al-Salam Institute and arranges academic seminars with various scholars. He heads the Safeenah Fellowship and conducts lectures in the Islamic sciences.